His ancestor, Maharaja Jagatjit Singh of Kapurthala, chartered ships and travelled to Europe to procure precious, unique jewels from Cartier and Boucheron along with many other sought-after prized possessions. On one of those sojourns, he met a beautiful young flamenco dancer from Spain, married her, and soon had a son. 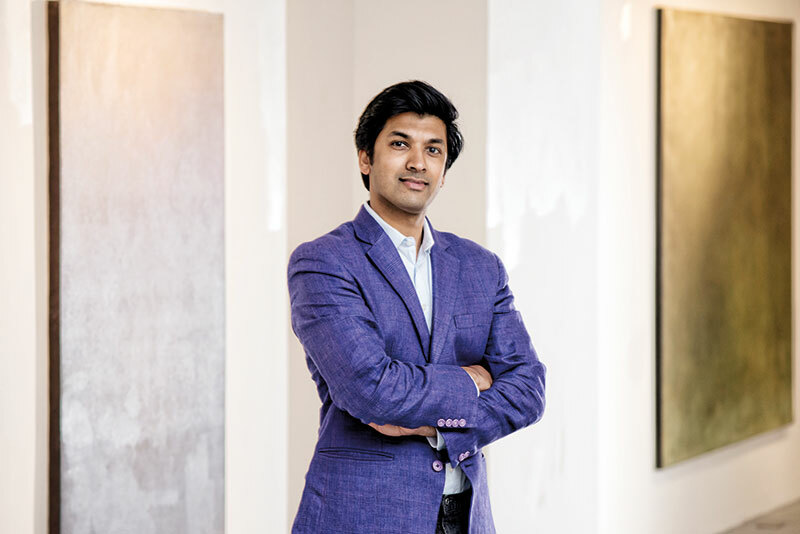 It is no wonder then that the appreciation of art and beauty is in the blood of his descendant, the young Harvard graduate Amar Singh, founder and owner of London’s Amar Gallery. Fulfilling an ambition has its own challenges — and requires much perseverance. Amar has been seen hobnobbing with the world famous opera singer Andrea Bocelli and the Oscar-award winning musician David Foster — he has also advised them and helped them raise funds for their charitable organisations, the Andrea Bocelli Foundation as well as the Muhammed Ali Foundation. In fact, he had dinner with the legendary pugilist in 2016 just before Ali passed away. The gallerist talks to Verve about his journey in the creative world…. What got you interested in art and how did Amar Gallery come to be? From my childhood, my parents would take me to art galleries and historical sites around the world. I always emotionally connected with the art I saw. And having been an art dealer since 2009, when I started off with Renaissance drawings and prints, I nurtured a dream of launching my own gallery. It took two years to find the perfect space and in January 2017, I opened Amar Gallery on Penton Street. What kind of art do you support — are you curating collections with specific social messages? I want to champion great artists from all walks of life. Given my decade-long involvement in women’s rights and LGBT issues in India, they certainly inform my choices when organising exhibitions. I believe galleries can truly thrive if they have a strong, diversified gallery programme with truly talented artists. How have you worked towards creating awareness for LGBT and women’s rights? For several years, I have raised and donated funds for causes pertaining to these issues. Truthfully, a lot of organisations are structured poorly and the money never reaches the people who need it. So, a few years ago, I decided to focus my efforts on only one charity every three years, to support grass-roots movements in India that spread positive messages about women’s and LGBT rights throughout the country. If India champions these groups — and if people around the world also do — then we will see unparalleled progress. I am so proud to be an Indian. We are one of the first countries to have elected a female prime minister and also have a foreign-born politician as the leader of a main political party. These are remarkable feats and this groundbreaking spirit needs to continue to be applied so we can truly thrive. 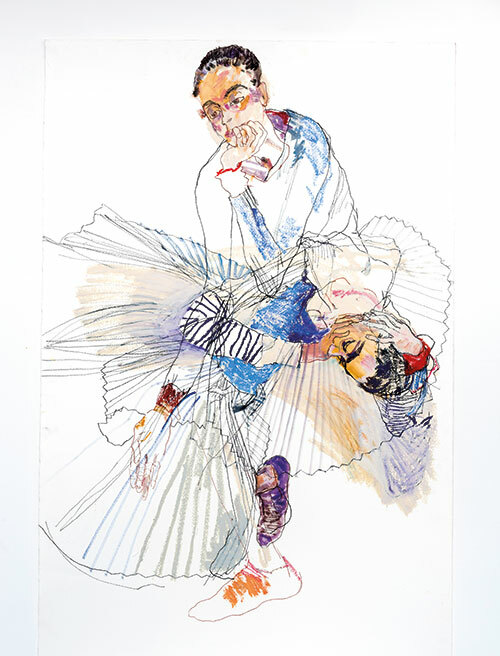 How have your royal roots influenced your work? I am honoured to be a member of the Kapurthala royal family, but growing up in England, I never considered myself royal. If my background can be used to help highlight women’s rights and LGBT issues, then it is my duty to leverage everything within my orbit to fight for equal rights. One of my ancestors, Maharaja Jagatjit Singh of Kapurthala, was a major patron of the arts and certainly inspirational. He spent many months each year travelling around the world, supporting artists and bringing European architecture to Punjab. The Kapurthala Palace is modelled after the Palace of Versailles. Jagatjit Singh was not even deterred by World War I — there is a record of him chartering a ship to voyage to Europe in 1915! What is your vision for Amar Gallery? I hope to grow the gallery organically and expand the list of artists we support. I am dedicated to presenting exhibitions which inspire people and stay in their minds long after they leave the space. 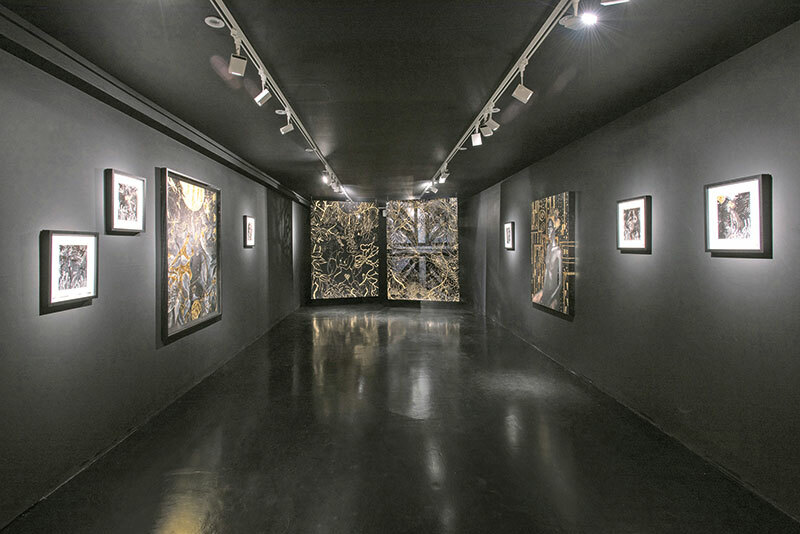 My last exhibition this year was Black Exodus by Lina Iris Viktor. Lina’s stunning works celebrate ‘blackness’ in a way which thousands of visitors told me they had not seen before. People brought their young children to our exhibition to show how powerful, equal, and beautiful the black race is, and always has been. That is the type of art I want to be associated with. The reactions of visitors move me every day.